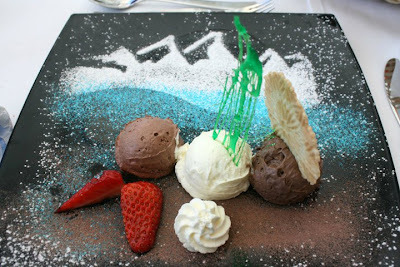 If in Switzerland, don’t leave without a visit to Jungfraujoch, The Top of Europe. 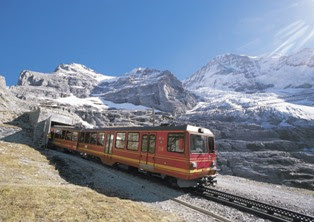 Join me on an armchair tour to Jungfraujoch via a spectacular ride aboard the historic Jungfrau rail. 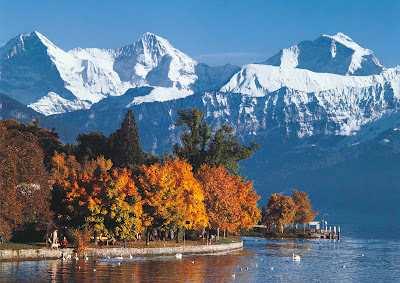 It began with a leisurely stroll along the Bahnhofstrasse, on the eastern side of the Höheweg in Interlaken. I immensely relished my morning coffee from Tchibo on a warm, sunny day. But the intimate moment with my coffee was short-lived as I had to dash to Interlaken Ost Station with 10 minutes left to catch the train to Kleine Scheidegg. Without a dramatic Dilwale Dulhania Le Jayenge train moment, I comfortably found my seat. Almost instantly, my camera-wielding hand got into action and began capturing the scenic splendour Switzerland is known for. Verdant meadows, quaint wooden chalets and meandering streams, all flanked by magnanimous mountains and lush foliage, filled much of my pictorial frames. As the train chugged along, the landscapes transformed into a series of thick, white blankets laid upon jagged mountain peaks. 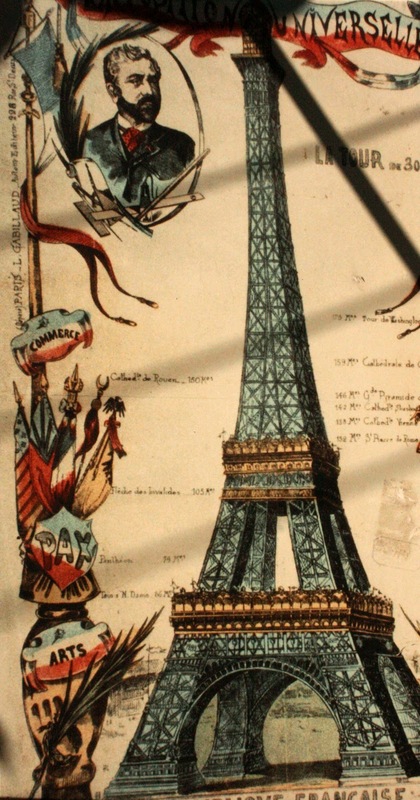 Soon, I spotted bright orange ski lifts, whose cheery riders began waving down at me. 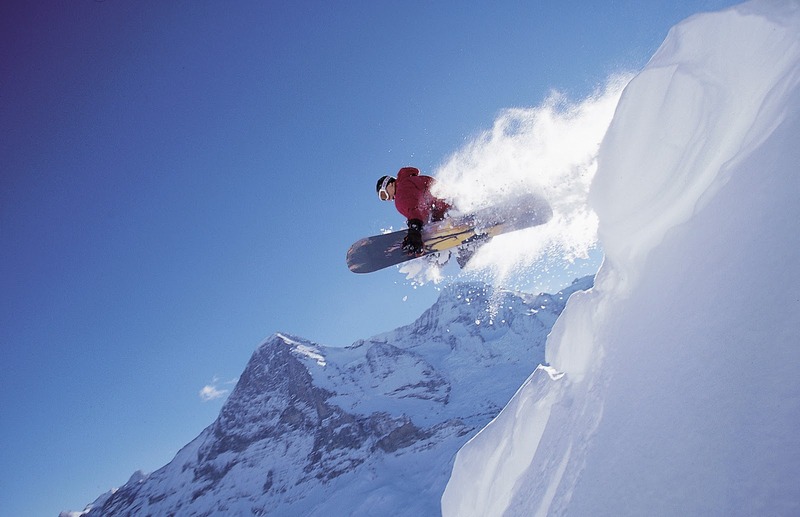 The Jungfrau region truly is a skier’s delight. 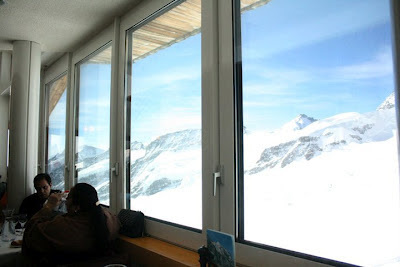 We made a stopover at Kleine Scheidegg to hop onto the cogwheel rail that would take me to Jungfraujoch. 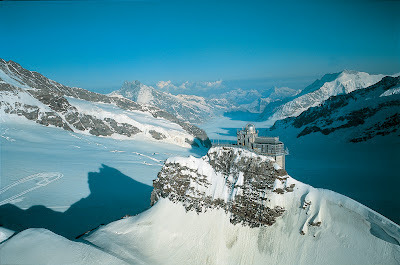 Curiously, the Jungfraujoch, at 3454m, is Europe’s highest-altitude railway station in a world of rock, ice and snow. The 50-minute train ride comprised nine kilometres, climbing a height difference of 1,400m. For seven of the nine kilometres, we passed through a tunnel hewn in the Eiger and Mönch rock. The train stops for five minutes at both the intermediate stations, the Eigerwand (Eiger Wall) and Eismeer (Sea of Ice), where we got the opportunity to step out and marvel at the fascinating snow-clad mountain range through large windows. What particularly impressed me were the presence of clean washrooms and drinking water at each of the stops, in spite of the incredulous altitude they were located at. As we approached Jungfraujoch, the temperature began to drop; calling for gloves and mufflers that were eventually not warm enough. 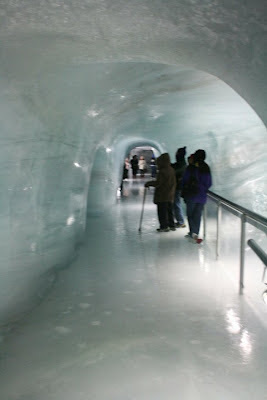 Once at Jungfraujoch, I headed off to see the Ice Palace. Created in 1934 by two mountain guides from Wengen and Grindelwald, the Ice Palace extends over nearly 1,000sqm and is located some 20m below the Aletsch Glacier. Completely carved out of natural ice, the hall comprises a vaulted ceiling, imposing pillars and superb sculptures of wildlife and other exhibits, all shimmering in a light transparent blue. 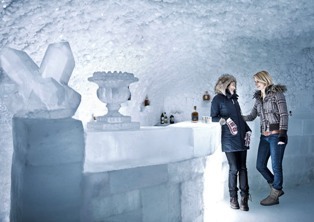 There is even an Ice Bar adjoining the palace, where we sampled the locally-brewed single malt whiskey. Next, we walked up to the Sphinx vantage terrace, where the Aletsch glacier lies directly at your feet. At 22km, this is the longest ice stream in the Alps and it is also part of the UNESCO World Heritage Swiss Alps Jungfrau-Aletsch. I was told, in clear weather, views from the Sphinx extend to the neighbouring countries of France, Germany and Italy. I, unfortunately, wasn’t so lucky. It was time to satiate my increasingly impatient appetite at the Crystal Restaurant. Surrounded by snow on the outside, I was seated in the cosy warmth of the cute little restaurant with red and white interiors. 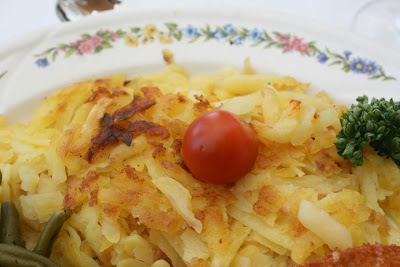 In a bid to utilise this opportunity to try Swiss favourites, I ordered the hugely popular cheese fondue, rösti (a Swiss dish made with roughly grated potato, either cooked or raw, sautéed on both sides until crisp and browned) and a medley of chocolate mousses (dark, milk and white variants) set on a beautifully decorated plate. After an immensely satisfying meal, I sat back and enjoyed the view over an aromatic espresso. It was so warm and cosy to stay indoors in the restaurant, as the cold was too harsh to bear; especially since I attempted to walk on the terrace of the building. Slipping and plonking on the snow seems like a lot of fun, but in reality I was freezing like crazy hell and my fingers were just numb! After spending an hour here, I just had to head back to Interlaken and soak in the sun. I may have felt like a frozen popsicle, but it was totally worth the trip! Ski enthusiasts can choose from a variety of activities like the zip-line, children’s ski carpet, sledging and snowboarding. You can also enjoy Indian cuisine at the Bollywood Restaurant at Jungfraujoch. Jungfraujoch also houses a hotel, an observatory, a research station, a small cinema and a ski school. 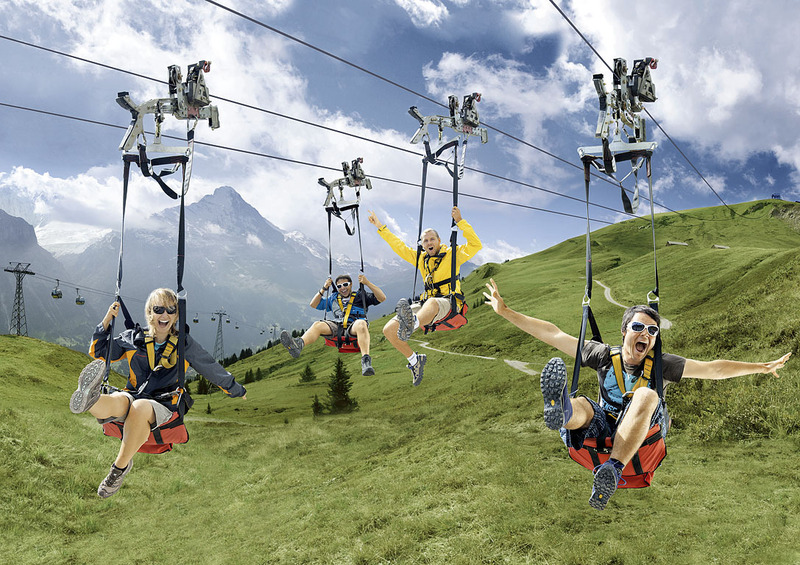 First is the brand new excursion introduced very in 2003, travelling in a modern cable car from Grindelwald to First. This excursion is a special experience that includes beautiful botanical, flower and wildlife trails as well as Lake Bachalpsee, a glorious Alpine gem. Trotti biking: The trendiest means of transport. Pick a scooter bike from Bort and travel downhill for a thrilling scooter run experience. Paragliding: Enjoy a paragliding experience along with the company of an experienced pilot and swoop through the majestic world of mountains and glaciers. Harder Kulm, Interlaken's ‘own mountain’, by the red funicular takes only ten minutes to reach. Take a journey by the funicular in the most modern panorama carriages. It offers superb scenic sights of mountains, lakes and valleys; a glorious garden terrace; a restaurant; a wildlife park and children's park. Why: Alternatively called pata negra, ibérico (Iberian ham) is a type of cured ham, produced mostly in Spain. Known to be the original swine of Spain, the ibérico pig is big and black with slender legs and a long snout. They are also fatter animals, with veins of fat running through the muscle, allowing the ibérico hams to be cured for longer duration. This results in a much more intense flavour with a unique note of sweetness. But what makes this ham really special is the bellota (acorns) that the pigs graze upon in the Spanish oak forests. Ibérico de Bellota can cost twice as much as a normal ibérico ham, as it makes for exquisitely marbled raw material packed with natural antioxidants—a key ingredient for extended curing of the ham. 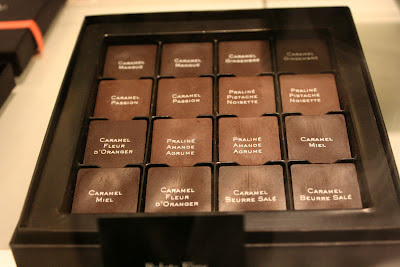 Why: Essentially, single origin chocolate is chocolate made from beans from one region, sometimes even from one farm. They bear the distinctive nature of their country of origin, extending a typical rare quality in them. With the advent of single origin chocolate, comes the idea of blending varieties of single origin chocolate to produce superior chocolate. Switzerland's Felchlin and Durig bring together some of the world's finest and rarest chocolate, all from single-source estates and using the world's finest cacao. While most dark chocolates are blended to create a repeatable flavour, all of their single-origin chocolates boast the distinctive nature of their country of inception. Why: The Poulet de Bresse is a breed of chicken that originates from the Bresse area of the Rhône-Alpes region of France. It is favoured for their juicy, tender flesh and risqué flavour. Known to be a premium product, top chefs of the likes of Gordon Ramsey have imported poulet de Bresse from France for anything between £20 and £40 a bird. These special birds are so exclusive that they come with their own individual birth certificates and they cook more like guinea fowl because of their peculiar structure. Why: Produced from the kernels of the argan tree, native to Morocco, argan oil is valued for its nutritive, cosmetic and medicinal properties. Now an endangered and protected tree, it is extremely well adapted to drought and other environmentally difficult conditions of south-western Morocco. Argan oil has been used by the locals of Morocco for centuries for its traditional quality of a food supplement, best known for its nutritional value of Vitamin E and some essential fatty acids. It is also said to have restorative and age-defying properties, making it one of the most helpful anti-aging cosmetics in the oil-based product industry. It is also said to relieve or act as a remedy for skin problems such as acne, psoriasis, eczema acne and even wrinkles owing to its vitamin and mineral content. Why: Drawing its name from the Podolico cows, the only breed native to southern Italy, the Caciocavallo Podolico cheese is not only the rarest, but also the most expensive in the world. 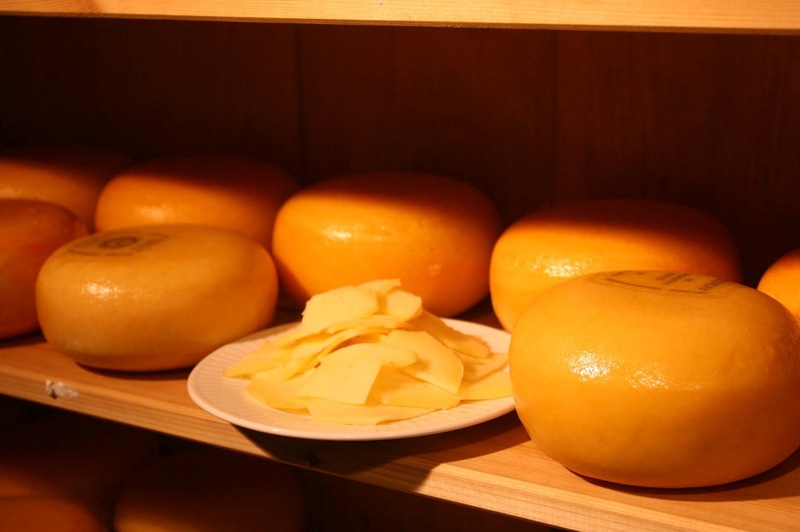 It is the only cheese in Italy which cannot be industrially produced. Podolico cows—free range cattle that roam the woods and forests of the Lucanian Mountains—only provide milk in May and June, thus making the processing of Polodico cheese very labour-intensive. The cows’ mountain diet of nettles, blueberries, rosehips, hawthorn, cornelian cherries, juniper and wild strawberries can also be tasted in this cheese. Only one kilo of Caciocavallo Podolico is produced in comparison to million kilos of mozzarella cheese that is produced in the south of Italy. 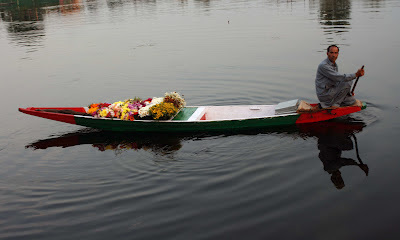 Why: Being the costliest spice in the world, the demand for good quality saffron is fairly high. The much coveted Kashmiri ‘mongra’ or ‘lacha’ saffron is among the most difficult to obtain. This dark maroon-purple coloured saffron is probably the darkest variant in the world, suggesting intense flavour and aroma. In Kashmir, it is only the karevas of Pampore and the Kishtwar valley in Jammu province that provide the suitable climate for the growth of this rare spice. This region prominently uses saffron for their Saffron Kahwa; a traditional beverage that marks all celebratory occasions. *These pictures are for representational purposes only.